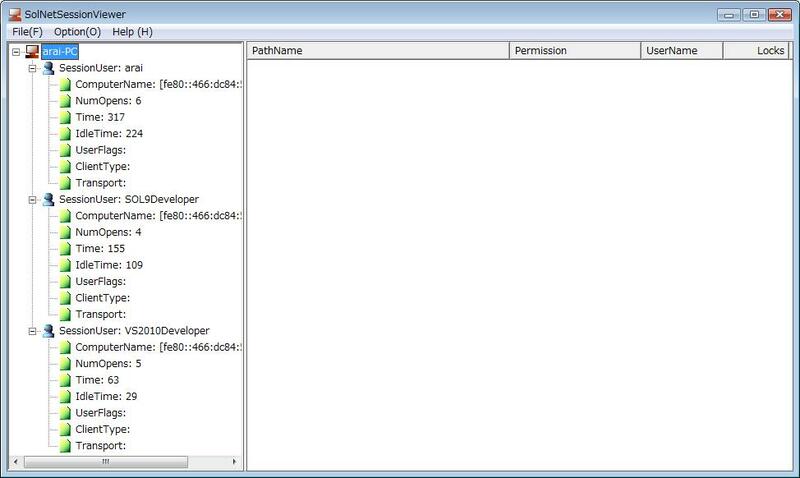 SolNetSessionViewer is a Windows GUI tool to view session users who have estalished connections to shared folders of a server. See Figure 1. If you would like to change a server name, please click [Option] menu and [ServerName] item of the pulldown menu, and input a server name. See Figure 2. 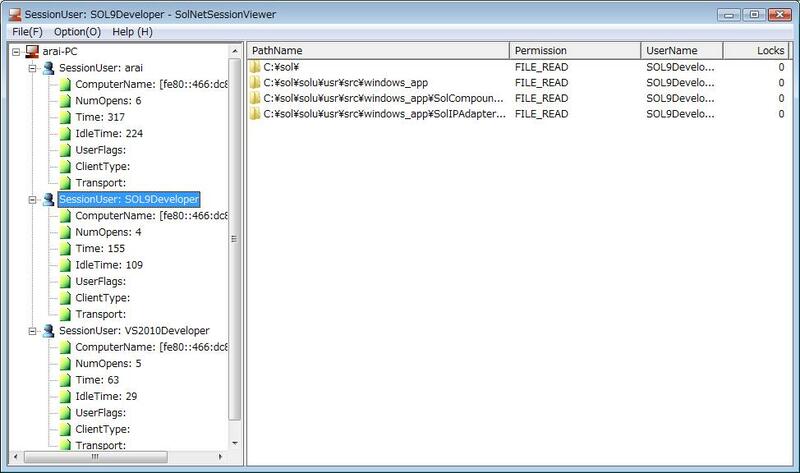 SolNetSessionViewer displays all session users and opened files by each user on shared folders of the server. See Figure 3. 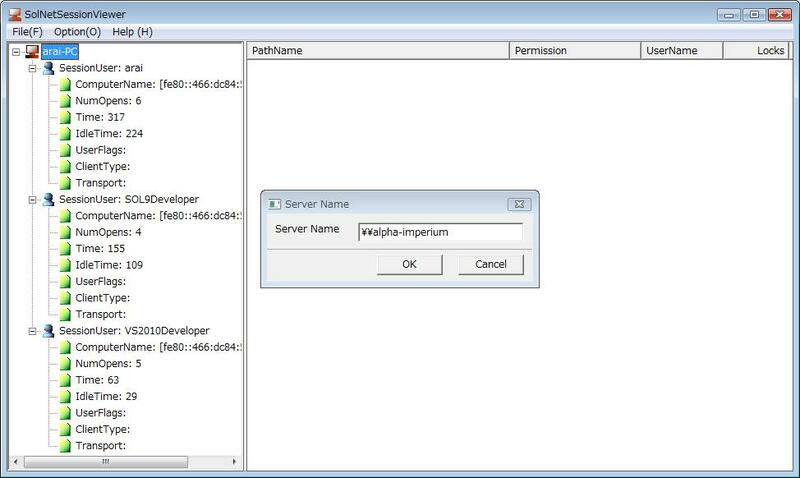 See also the console application 'src/console_app/nm/NetSession' of SOL9 library samples.